While indeed a genre-defying giant in science fiction, Bradbury deserves a place alongside the traditional masters of the macabre. The essays in this collection decrypt Bradbury’s horror tales and decipher their social and artistic impact. Just scratching the surface of Bradbury’s genius, these essays demonstrate that, while much remains buried in the Bradbury corpus, none of it is dead. The New Ray Bradbury Review, prepared and edited by the Center for Ray Bradbury Studies, examines the impact of Bradbury’s writings on American culture and his legacy as one of the master storytellers of his time. 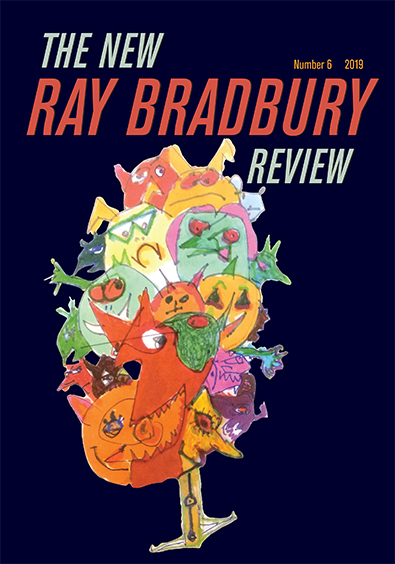 The New Ray Bradbury Review and the multivolume Collected Stories of Ray Bradbury are the primary publications of the Center for Ray Bradbury Studies, the major archive of Bradbury’s writings located at Indiana University–Purdue University, Indianapolis (IUPUI). EditorsGuest editor Jeffrey Kahan is the author of many books, including Reforging Shakespeare, The Cult of Kean, Caped Crusaders 101: Composition through Comic Books, Bettymania and the Birth of Celebrity Culture, and Shakespeare and Superheroes. He co­edits the Robert E. Howard journal The Dark Man. Jonathan R. Eller is Chancellor Professor of English at IUPUI, director of the Center for Ray Bradbury Studies, and editor of The Collected Stories of Ray Bradbury. He is the author of Becoming Ray Bradbury and Ray Bradbury Unbound, extensive studies of Bradbury’s early and middle career.